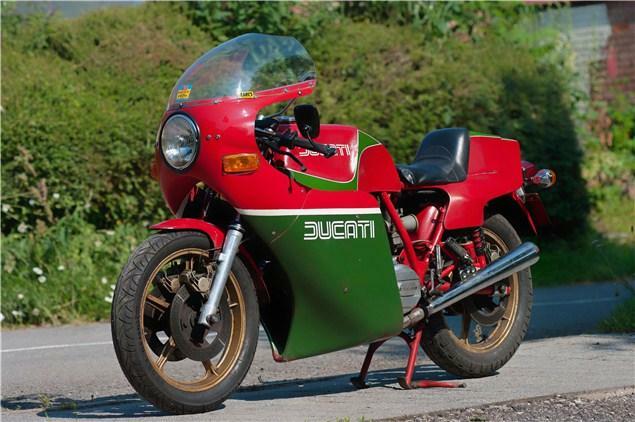 RARE Italian and Japanese motorcycles will be auctioned by Bonhams at the Classic Motorcycle Mechanics Show in Stafford on 16th October 2011. One of the auction's highlights is a 1979 Ducati 864cc Mike Hailwood Replica in the auction is offered for sale by its original owner and has covered fewer than 23,000 miles from new. A landmark model that kept Ducati afloat during the 1980s, the Hailwood Replica owes its existence to Mike’s legendary Isle of Man TT comeback victory in the 1978 Production Race riding an ex-works NCR bike entered and prepared by Manchester-based Ducati dealer, Sports Motor Cycles. Unrestored, the Ducati comes with full history from new. It is estimated to fetch between £7,000 – 10,000. 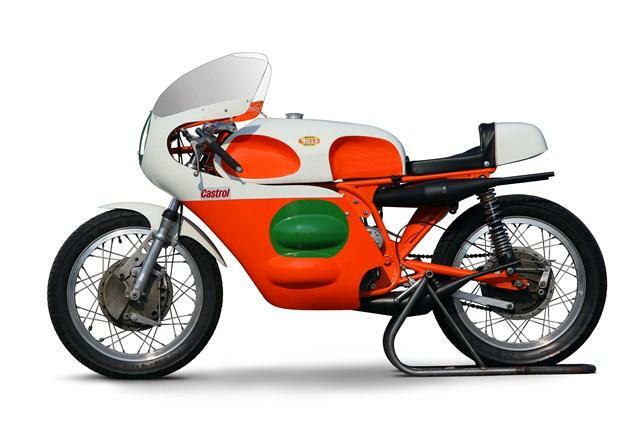 Another Italian thoroughbred, but even rarer, the 250cc Villa V4 on offer is a faithful replica of Francesco Villa’s doomed Grand Prix racer of 1969, which was rendered obsolete by the FIM’s rule change limiting the class to a maximum of two cylinders. Constructed by an ex-Villa employee using many genuine original parts. It is estimated to fetch £25,000 – 34,000. The Laverda 750SFC production racer is one of the most sought after of post-war Italian motorcycles and the 1971 model in the sale was originally campaigned by the UK importers, Slater Brothers. 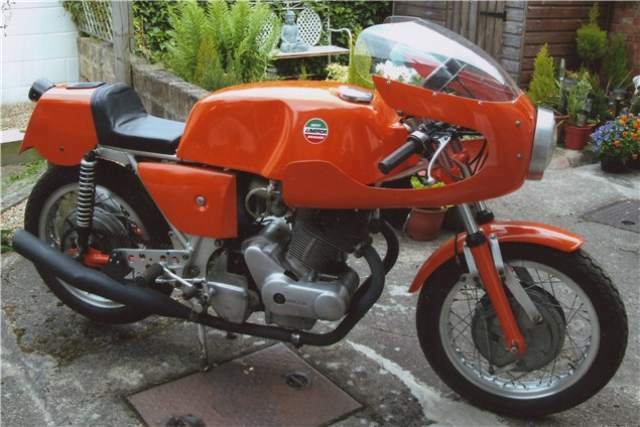 Known as ‘Leaping Lena’, the Laverda was track tested at Silverstone in 1971 by Ray Knight for Motorcyclist Illustrated magazine. Its first private owner was the late Jim Berkheimer, founding president of the Laverda Owners Club. The machine passed to the current owner in 1975 and is estimated to fetch £35,000-40,000. 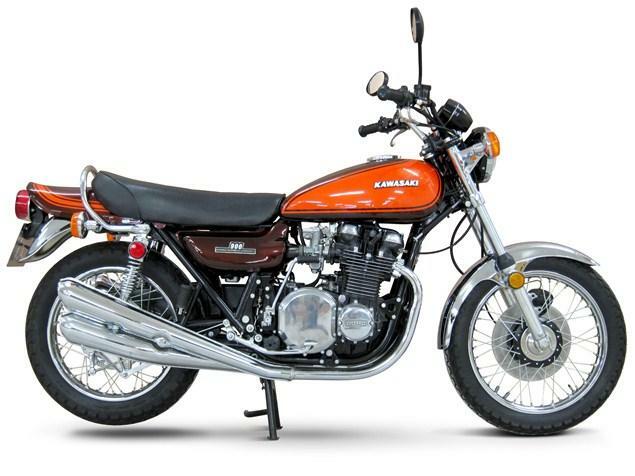 The Japanese motorcycle line-up includes a collection of restored Kawasaki’s including: 1969 Kawasaki 498cc H1 (£8,000-10,000), 1973 Kawasaki 746cc Z2 (£8,000-10,000), 1973 Kawasaki 900cc Z1 (£10,000-12,000), 1974 Kawasaki 903cc Z1A (£7,000-9,000) and 1975 Kawasaki 903cc Z1B (£7,000-9,000).